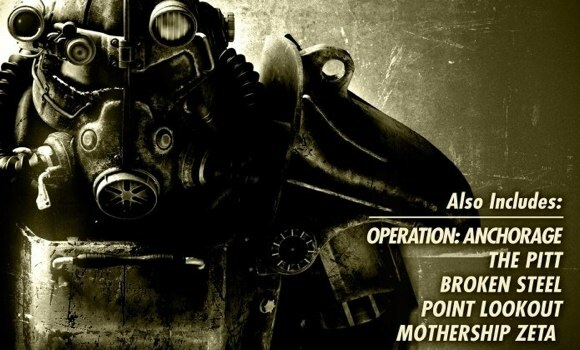 Following May's Anchorage and The Pitt combo-pack, Bethesda has confirmed with Joystiq that the second Fallout 3 DLC retail pack featuring Broken Steel and Point Lookout will hit store shelves on August 25 for $20 on both Xbox 360 and PC. You'll need Mothership Zeta - the fifth and "final" piece of Fallout 3 DLC - to round out your DLC collection. It's currently available for $10. If you're late to the Fallout 3 bus, you may want to consider holding off until October when you can pick up the previously announced Fallout 3 Game of the Year Edition which bundles the game with all five DLC packs. It's currently listed for $59.99 for the PS3 and Xbox 360 releases, and $49.99 for PC with an October 13th release date on both Amazon and GameStop. Unfortunately, Bethesda's not ready to talk about it until that last DLC pack is out the door so consider those prices and that date boring 'ol retailer placeholders. 2nd Fallout 3 DLC pack at retail Aug. 25; GOTY edition listed for Oct. 13 originally appeared on Joystiq on Tue, 11 Aug 2009 17:01:00 EST. Please see our terms for use of feeds. August 11, 2009 by Ben Pike.